Individuals whose UK tax relieved pension contributions are greater than £40,000 a year or whose total UK tax relieved pension savings are near to or more than £1.25 million. • Employers who contribute to registered pension schemes on behalf of their employees. • Scheme administrators of registered pension schemes and advisers with clients who have UK tax relieved pension savings. At the Autumn Statement 2012, the Government announced that it will reduce the lifetime allowance from £1.5 million to £1.25 million and the annual allowance from £50,000 to £40,000 for the 2014-15 tax year. The Government also announced that a fixed protection regime will be offered to individuals to prevent retrospective tax charges arising as a result of the reduction in the lifetime allowance. In addition to fixed protection, the Government also wishes to offer a personalised protection regime for individuals and will discuss the feasibility of this with interested parties. Although there are no limits to how much can be saved in registered pension schemes, there is an overall limit on the total amount of an individual’s tax-relieved annual pension savings, including employer contributions, known as the annual allowance (sections 227 to 238A of FA 2004). The annual allowance is £50,000 for the tax year 2011-12 onwards. Unused annual allowance from the three previous tax years for the individual can be carried forward and added to the annual allowance. If the individuals’ pension savings for the tax year exceed this total, the annual allowance charge is applied to the excess. The annual allowance charge is linked to the individual’s marginal rate of tax. relieved pension savings that an individual can have over their lifetime. The standard lifetime allowance is £1.5 million for the tax year 2012-13 onwards. taken as a lump sum (sections 214 to 226 of FA 2004). relief where they are a relieved member of a relieved non-UK pension scheme (paragraphs 13 to 19 of Schedule 34 to FA 2004). Legislation in Finance Bill 2013 to reduce the annual allowance to £40,000 and the standard lifetime allowance to £1.25 million for tax years 2014-15 onwards. Legislation will also introduce a transitional protection regime (fixed protection 2014) for individuals with UK tax relieved pension rights of more than £1.25 million or who think they may have rights in excess of £1.25 million by the time they take their pension benefits. Individuals will need to notify HM Revenue & Customs (HMRC) by 5 April 2014 if they want to rely on fixed protection 2014. Individuals with fixed protection 2014 will be entitled to a personal lifetime allowance of the greater of £1.5 million and the standard lifetime allowance. individuals in a defined benefits scheme must not accrue further benefits above a ’relevant percentage’ from this date. The relevant percentage for savings will normally be either the annual rate specified in scheme rules as of 11 December 2012 for the revaluation of accrued rights, or CPI (if no rate is specified), although certain statutory increases will be excluded from the test. Relieved members of relieved non-UK pension schemes will also be able to apply for fixed protection 2014 subject to their not having a pension input amount of greater than nil in the non-UK pension scheme in any tax year from 2014-15.
relevant lump sum death benefit will be tested against the standard lifetime allowance at the time of the individual’s death. These changes will mainly be made through primary legislation although some will need to be made in secondary legislation. The Government will also discuss with interested parties whether to offer, in addition to fixed protection 2014, a form of personalised protection which entitles individuals to a lifetime allowance of the greater of the value of their pension rights on 5 April 2014, up to an overall maximum of £1.5 million or the standard lifetime allowance. However unlike with fixed protection 2014, individuals with personalised protection would not be subject to any restrictions on future contributions or accruing further benefits. 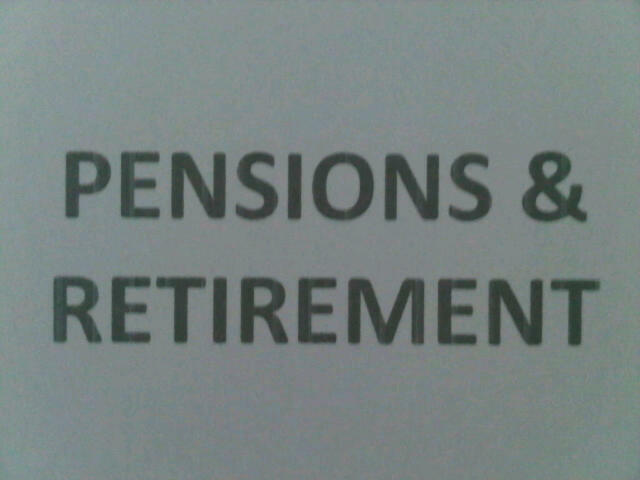 This is an area of pension planning which can be complex. It is therefore of paramount importance for you to personally check your current pension entitlements and lifetime allowance already “used up” or “earmarked” together with any potential future pension benefits you now expect to become entitled to. If you think that you may have rights in excess of £1.25 million either now or by the time you expect to take your pension benefits, then you will need to take action now in order to protect your allowance. In addition, if you have previously unused annual pension contribution allowances over the last three years, then you may wish to take advantage of any current allowances before 5th April 2014.